Yoga pushes Christina out of her comfort zone, with the mindful intention to grow. In Christina’s class you will find a whimsical flow and a positive attitude. In her flow, you’ll hear jams that jams that get you to wiggle in warrior 2, twerk in downward dog, and smile in savasana. 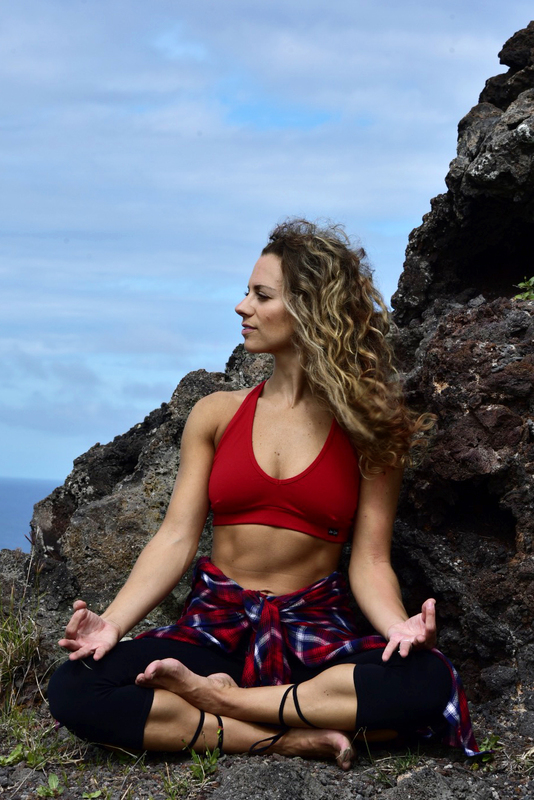 She left the East Coast for a year and completed her training in Hawaii, where she became certified in power yoga, yoga sculpt, and is now a yoga coach for teachers in training. She will challenge you to center your mind, body, and soul to find your most unique and playful you. Christina is a spirited workout enthusiast and gym-junkie-turned-yogi. You can always find Christina brunching on burpees or dangling in downward dog. Yoga pushes Christina out of her comfort zone, but ultimately helps Christina find her center. Christina’s practice encourages a mind-meets-body, yet playful fitness approach. For Christina, yoga promotes testing your inner strength, so you can finally accept and love your authentic body and empower your mind to be your most free self. . . lila hum.